The first one is the data set, second the domain string (where we extract features from) and the third one the name of a feature we extract. After, other options specific to a feature extractor may be given. 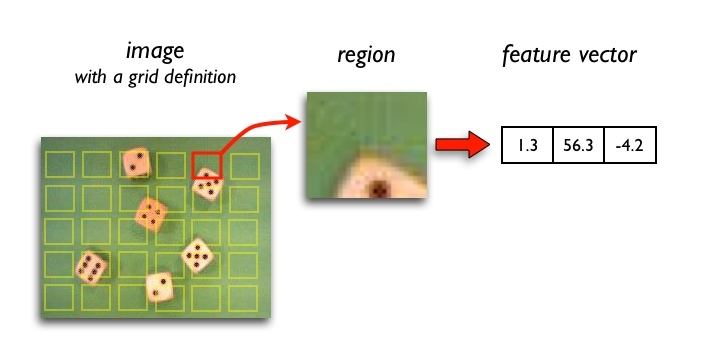 Read more in: "Feature extraction in local image regions"
Use-case: Local-to-object fusion, object recognition. 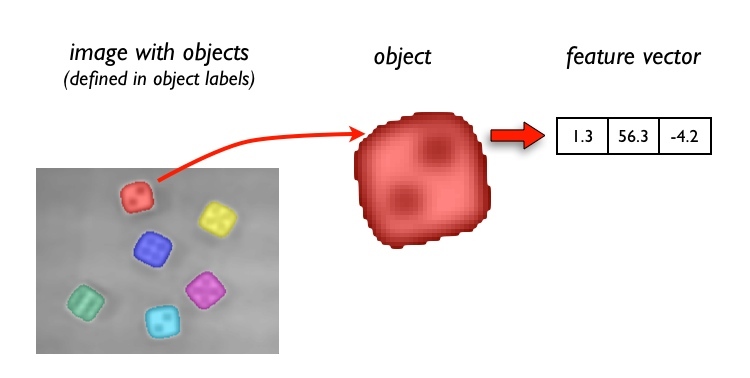 Read more in: "Object feature extraction and representation"
Read more in: "Feature extraction for spectral data"